ALWAYS take off your makeup before bedtime. I know we all have those nights where it isn’t our #1 priority, but if you want to avoid perpetual acne and wrinkles…take those extra 5 minutes before crawling into bed! Floss!! I’m sure you’re tired of hearing it from your dentist, let alone me, but it will save you time at the dentist (getting those cavities filled) and will help you avoid yellowing that commonly occurs between teeth. *Tip to make this happen: Keep your floss in sight by placing it next to your toothbrush or toothpaste as a healthy reminder! DON’T PICK at your eyelashes! 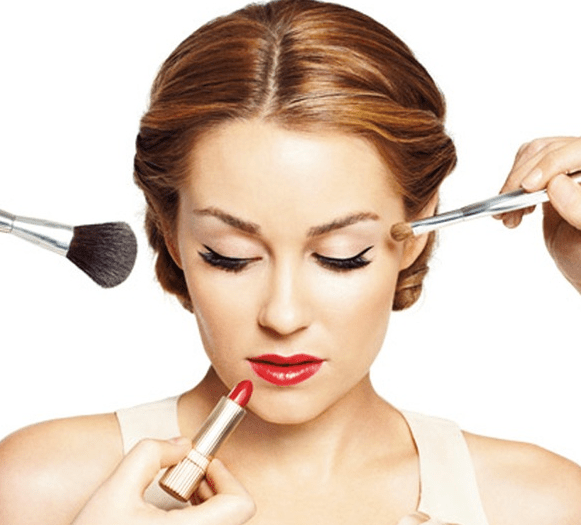 As a society of women, a pretty huge goal of ours is to have thick and full lashes. We all know that even touching our lashes can make 3 or5 lashes fall out!! So avoid this bad habit by purchasing a non-clumping mascara(CoverGirlLashBlast Clump Crusher, for example), or if that doesn’t help, just remember that constant contact between your hands and eyes can lead to bacterial infections. EW! Don’t forget your neck when you moisturize! By forgetting this region of the body you’re basically asking for wrinkles and sagging neck lines. The skin on your neck is even more fragile than the skin on your face and by moisturizing it, you are allowing it to keep its tightness as you age. Use nose strips if you’re having trouble with blackheads.It’s a problem a lot of us have; even if we spend a lot of time exfoliating our nose areas, black heads can still pop up. 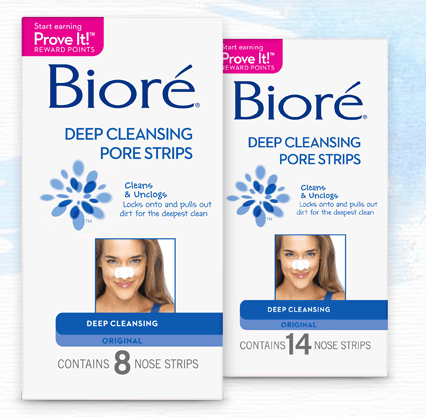 Just recently I’ve came across the Bioré pore strips and I love them. They’re really simple to use and just from looking on the strip afterwards (even though it’s a little gross) you can see the results!